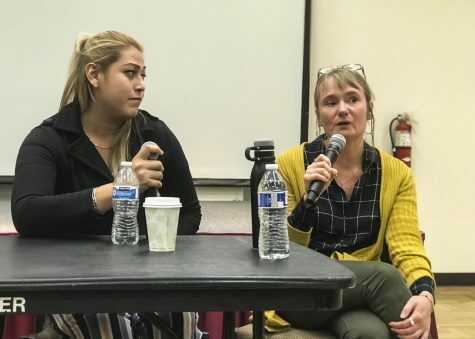 Valeria Ruiz (right) speaks about her time with the ‘Trans Gay Migrant Caravan’. Survivors of oppression shared their stories with De Anza College students and faculty at the ‘Moving Stories’ event on Nov.13 as a part of DASB ‘Visiting Speakers’ series. Deborah Garinkle, part-time english instructor, sponsored the panel in hopes that it would humanize stories. “I care about the complexity of bringing people together,” Garfinkle said. 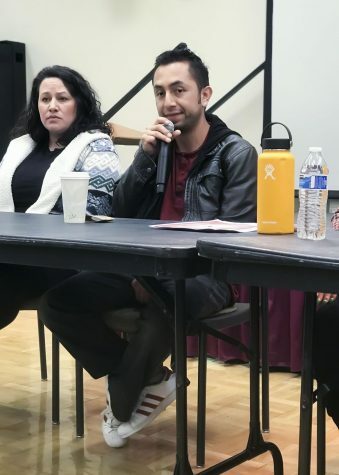 Co-sponsor of the event, Tony Santa Ana, of the Office of Equity, Social Justice and Multicultural Education, hoped the speaker stories could raise awareness and inspire involvement. The event was also supported by Vasconellos Institute for Democracy in Action. Fernando Carrillo speaks to the audience about the trauma him and his family faced during his detainment. Carrillo was detained by ICE for six months after dropping his daughter off at daycare in Oct 2011. Nearly 60 students, and a handful of faculty members were in attendance. The speaker panel consisted of five people. Camarad Conley’s story was most popular with the students. 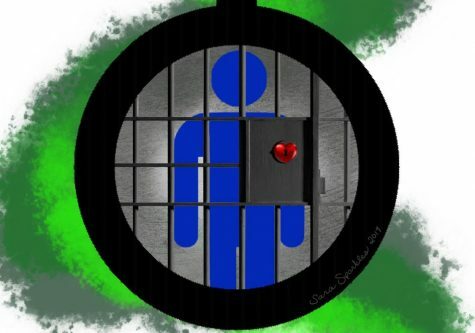 Camarad explained what it was like to be framed by the police, arrested, convicted of multiple gang-related murders and subsequently incarcerated for 19 years. He spoke of his time in multiple high security prisons, and the break in his case that eventually led to his release. Fernando Carrillo and Lourdes Barrazza spoke of the hardships their family experienced as a result of multiple run-in’s with ICE. Both spoke of the daily terror and lingering trauma they faced with their children. 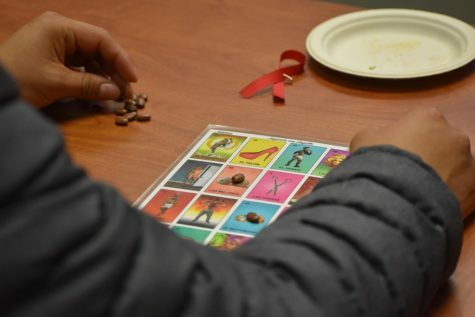 Valeria Ruiz spoke of her journey as a transgender woman, migrating with a trans caravan to the United States, and the horrors she experienced while in detention at the border. 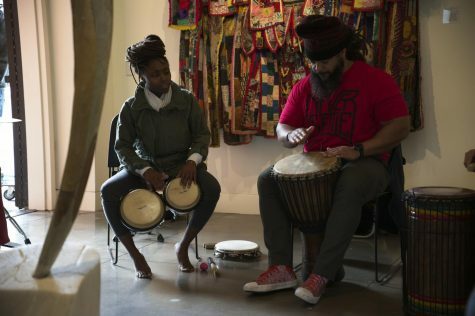 Having been rejected and treated like a criminal in her parents home, she sought acceptance within her community. Her continued efforts to achieve a peaceful life would find her migrating with multiple caravans, each possessing its own series of unfathomable nightmares. De Anza Alumni, Shaila Ramos, shared a PowerPoint about herself titled, “The Story of an Undocumented Chingona.” As an Afro-Latina, Ramos said she found she didn’t really didn’t belong in any community, so she had to form her own.